Newcomer Geno Crandall is a key contributor to this year's Zags. At the beginning of the year, Zags fans tried to piece together how in the world they would get to see a matchup of their No. 3 Bulldogs vs. the heralded No. 1 Blue Devils in this tournament championship. The rankings suggested the Zags could compete, but the game itself proved that their big men were just as physically daunting as the heralded blue chip freshmen on the other side. The second half comeback win for Gonzaga was the first road test the Zags faced this year. The game showed that sophomore guard Zach Norvell can be a lightning rod, serving as instant offense if he's given the reps to heat up. He'll be a critical option in March. 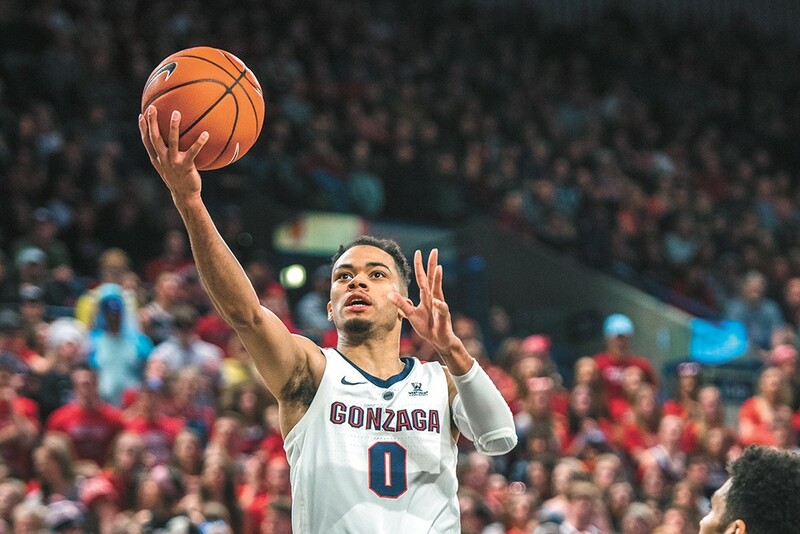 Still without Killian Tillie and dealing with the added loss of backup point guard Geno Crandall, the Zags struggled to match the intensity of the Volunteers. The game highlighted the need for Rui Hachimura to learn to adapt to physical play and Josh Perkins to assert himself as a scorer. Their first major road game in conference and in a constant stickler of a place to play, the Zags showed there would always be a chasm between them and everyone else in the WCC. The original print version of this article was headlined "The Zags' Five Most Important Games"